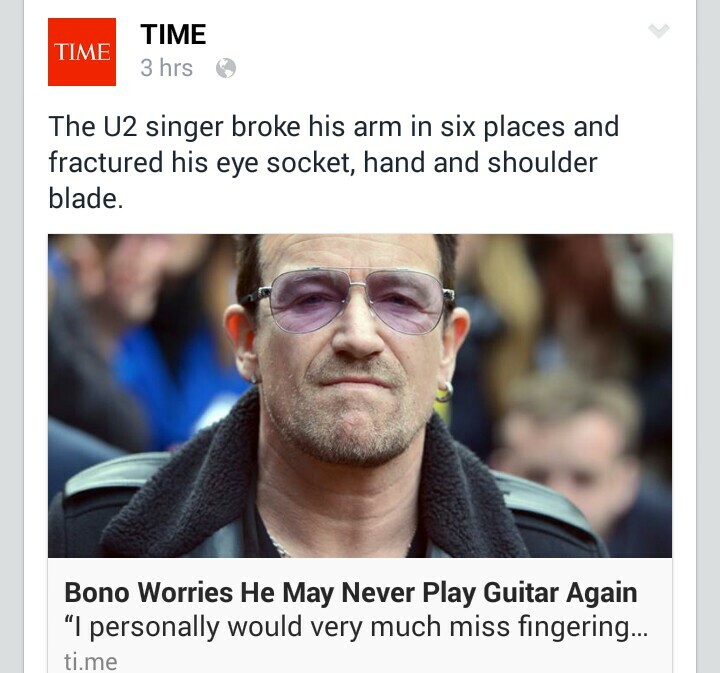 Bono made more unwanted headlines over the last week with revelations that he may never again be able to gatecrash peoples iPods with his music following his bicycle accident. After doing his arm in while cycling around Central Park, New York, the U2 lead man said that the days of him busting out the guitar could be at an end. It’s possible the accident may also have left Bono concussed having failed to realize that the guitar is the Edge’s job while Bono scribbles out hifalutin lyrics with his other hand.